This is a topic I've gotten tons of requests for. I've been meaning to write this for awhile, but I kept putting it off because there is SO much to write, and it felt really overwhelming to try and do the topic justice. To make it a bit more manageable, I'm going to break it down similar to my PCOS series. Today, I'm going to discuss what IBS is, symptoms and diagnosis, and the benefits and risks of common therapeutic diets for IBS. 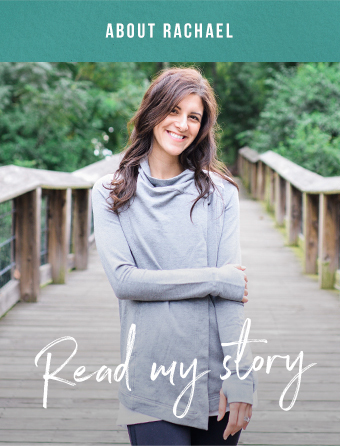 With the next post, I'm going to share nutrition, intuitive eating and lifestyle tips for managing IBS symptoms, and part 3 will be a discussion of the relationship between IBS and disordered eating. That may change as I start writing this, but for now that's what I'm thinking. I also want to be upfront that I'm not the world's leading expert on IBS. There is SO much science out there and you could get really into the weeds with it. For the sake of both making this easily understandable and relevant for you (and because I don't want to spend 20 hours writing it) we're going to talk about the science a little more broadly. In my practice, I work with clients suffering from IBS almost every day, so I really try to stay abreast of the latest research. I've learned what's more helpful for people is taking a practical approach to the science, focusing on the person and their needs as much as I focus on the research. IBS, or irritable bowel syndrome, is a gastrointestinal condition that affects up to 20% of Americans at some point in their life. Symptoms may include gas, bloating, diarrhea, constipation, and cramping. Generally, symptoms are relived with a bowel movement. To be diagnosed, doctors will want to rule out other possible causes of symptoms first, like celiac's or inflammatory bowel disease. They'll look to see if symptoms have occurred at least once a week in the past 3 months, and that symptoms started more than 6 months ago - basically, they're looking to see if the symptoms are chronic versus acute. What's difficult about IBS is that it's a diagnosis of exclusion, based on symptoms rather than any clear pathophysiology - there's nothing physically wrong that doctors can point to as a cause, or any chemical markers to test for. If you have the symptoms and don't test positive for any other cause, then you'll be diagnosed with IBS. People with IBS may have a more sensitive gut, which perceives contractions, bloating, and dilation more severely and acutely. There is likely a relationship with anxiety here. The gut is often referred to as the second brain by researchers - it's in constant communication with the brain, has the second highest concentration of neurons in the body, and is even responsible for the production of neurotransmitters, like serotonin. In a sense, you could think of IBS as an anxious gut. An overgrowth of bacteria in the gut, or an inbalance with the types of bacteria that are present. An immune response to specific foods or food additives, leading to increased levels of inflammatory markers in the gut. Dysfunction in the production of serotonin in the gut, as higher levels of serotonin have been linked with diarrhea-predominant IBS, and lower levels have been linked to constipation-predominant IBS. Hormonal changes, as women have higher rates of IBS, and tend to have more symptoms around the time of their period. Dietary imbalances or intolerances, for example inadequate fiber intake, or excessive intake of sugar alcohols. Probably all of these causes are true, and are often times linked. For example, dietary imbalance could lead to changes in gut bacteria, and those changes to gut bacteria could affect serotonin production. This is probably why there's no single treatment that's helpful for everyone with IBS. Different causes require different treatments, which is incredibly frustrating for both doctors and dietitians who are trying to find a way of helping their clients, and especially for the person who is trying to get relief. The topic of intuitive eating with IBS is a really complicated one. Many of the common dietary recommendations for IBS involve avoiding specific foods, so it can make intuitive eating feel very off limits. Plus symptoms of IBS can make it hard to read your body's cues, like hunger and fullness. It's been my observation that sometimes intuitive eating counselors can be dismissive to dietary approaches to treating IBS. It's for good reason - IBS diets can often do more harm than good, and are often prescribed irresponsibly, and by people who legally shouldn't be giving medical dietary advice. Similarly, many dietitians who work with IBS can be dismissive to intuitive eating, saying things implying that intuitive eating isn't appropriate for someone who suffers from IBS. Personally, I think these blanket statements can be harmful, and there needs to be a lot more nuance in the conversation. If you're reading this, I'm assuming you have at least introductory level knowledge of intuitive eating and also suffer from IBS. You may be considering trying a more "restrictive" approach to managing symptoms, or moving away from restrictive IBS diets and towards intuitive eating. This post won't have any answers, but hopefully gives you some things to think about. As a reminder, IBS can have any different underlying causes, so different approaches are helpful for different people. That's why you might hear of someone who gets a lot of relief from eliminating a certain food, but that change makes you feel worse. Learning to feed your body consistently and adequately throughout the day, as hunger is a common trigger of IBS symptoms. Decreasing food police thoughts around food, which can lead to the anxiety that triggers symptoms. Learn more joyful/pleasurable movement, as strenuous exercise can trigger symptoms in many people. By paying attention to how food makes you feel, you may notice what specific foods, if any, or patterns of eating lead to symptoms. Get off the restrict/overeat cycle that is not very IBS-friendly. Learn gentle nutrition strategies that may help you feel better. Understanding what it feels like to be satisfied, but not stuffed, as overeating can trigger symptoms. Sometimes other nutrition interventions may be warranted. Some are based on what I like to call positive nutrition, which focuses on adding, not subtracting. Think adding more fiber from fruits, veggies and whole grains to your diet. Other times, dietary recommendations may call for limiting or eliminating certain foods, or following an elimination diet. An elimination diet is one that removes specific foods for a period of time, evaluates symptoms, then reintroduces those foods/food categories one at a time to see if it triggers symptoms. The idea is that it will help you identify what specific foods cause symptoms. This is usually done with the low FODMAPS diet, or food sensitivity testing. Recommendations to eliminate specific foods for IBS are really common. If it's a common trigger food that you can more easily eliminate for a short period of time, like dairy (lactose intolerance is very common), spicy foods, acidic foods, alcohol, foods with added fiber or sugar alcohols, or coffee, I find these recommendations can be helpful. You should be able to tell within a week if it's making a difference or not. Other times, recommendations for elimination can be really broad, like going gluten free or sugar free. I don't find these recommendations to be as helpful. Although celiac disease is significantly underdiagnosed, you can go get a blood test or biopsy for an official diagnosis. Even if you do happen to feel better on these diets, it's pretty impossible to determine if the improvement is from eliminating a food group, or because your overall dietary pattern has changed. Then there's elimination diets, which I wish they were called elimination-reintroduction diets, because because I think a lot of times people forget about that very important second part. The two most common elimination diets are low FODMAPS and the LEAP diet, which is based off a food sensitivity test called MRT (mediator release test). Low FODMAPS eliminates foods that are high in specific types of carbohydrates that are highly fermentable. These highly fermentable carbohydrates produce a lot of gas when they're broken down by gut bacteria, which causes stomach pain and bloating. There is significant research showing low FODMAPS can help reduce symptoms, although there are questions as to how it might alter gut bacteria long term. LEAP is a personalized dietary plan based off a blood test that quantifies how much inflammatory chemicals (mediators) are released when your blood is exposed to the antigens (immune compounds) of certain foods. Studies have linked these inflammatory mediators to IBS symptoms. While there is less research on the elimination diet and symptom reduction, there's some really interesting research looking at the role of mediators in IBS symptoms. While these elimination diets can be helpful for some people, I recommend a lot of caution before going forward. First off, they don't address all of the causes of IBS, and if anxiety is a trigger, introducing dietary restriction can make it worse. I can't tell you how many people I've worked with who have tried so many different elimination diets that it's hard for them to find a single meal they can eat anxiety free. If you are in a challenging place with your relationship with food or are in recovery from an eating disorder, while I couldn't give individual advice, generally speaking I would recommend against doing an elimination diet, which can be highly triggering. If this is a route you are looking at, I think it's important to work with a dietitian who can guide you through the process, and to remember that you can bail at any time. Also, be sure to work with a dietitian who is willing to have a really open conversation about the risks, and the fact that it may or may not help. If there's someone selling an elimination diet to you with the confidence of a cure, that would make me super skeptical. Personally, I've used all of these tools in my practice, and I don't have any one best approach. I try to do a really thorough assessment to see what approach might be most helpful for what they're experiencing and match the approach to where a client is at. If a client comes in with IBS symptoms and is restricting and experiencing a lot of anxiety around food, we'll focus on renourishing their body and getting on a more consistent pattern of eating first to see what symptoms are like before looking at any additional nutrition interventions. Regardless of what (if any) nutrition strategies or therapeutic diets you decide to use for treating IBS, it's worth remembering that intuitive eating is a series of tools, not rules. Perhaps you discover there are certain foods that don't agree with you. That doesn't mean that you can't work to normalize other foods, listen to hunger/fullness cues, and respect your body's natural size. The tools of intuitive eating are always there and available for you no matter where you're at. Feel free to share whatever questions you have in the comments! I try to answer there or be sure to include your question in upcoming posts. In part 2, I'll discuss specific nutrition and self care strategies for coping with IBS, and part 3, I'll talk more about IBS in disordered eating. I hope this was helpful for you and you get a little more clarity in deciding how to take care of yourself.